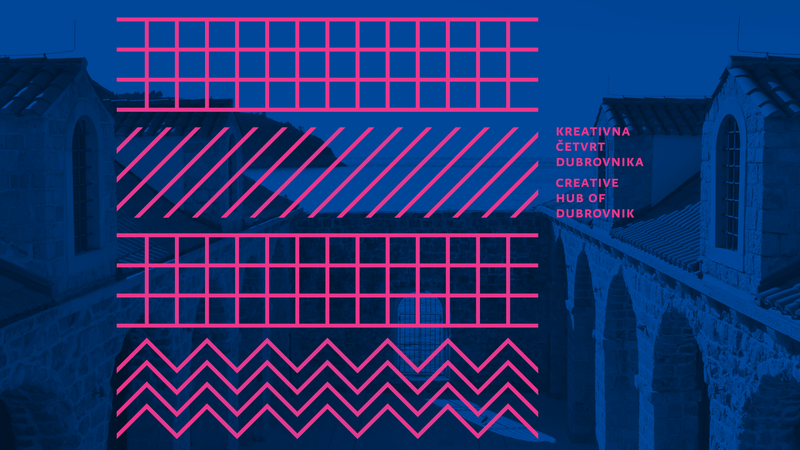 描述：City government of Dubrovnik (Croatia, EU) has decided to rebrand a part of its UNESCO protected old town into a creative hub. 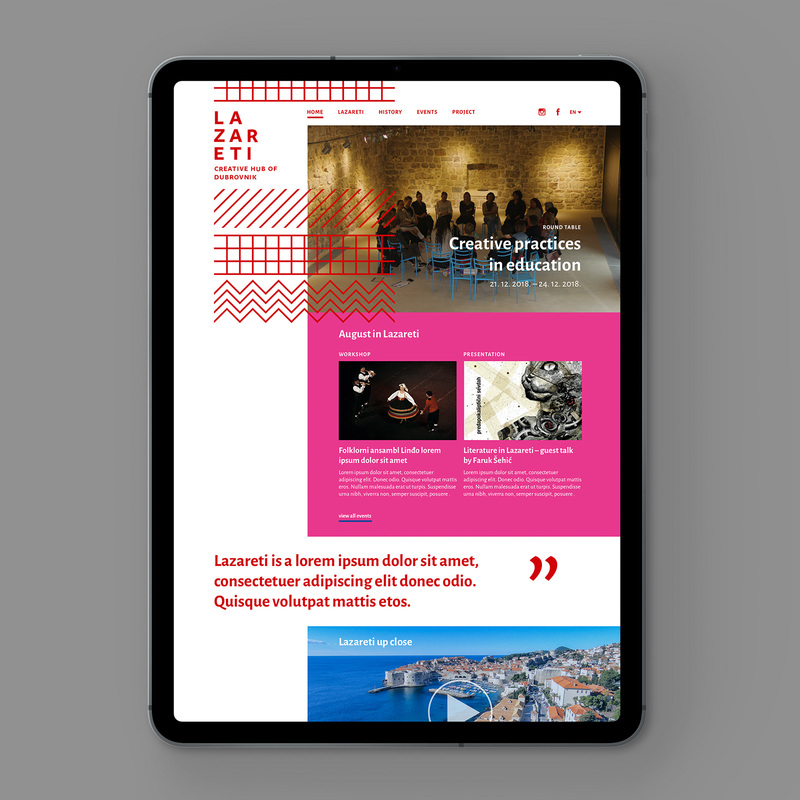 Lazareti, as the complex is called, was built in the times of the European plague in the 14th century to serve as a quarantine and is today one of the rarely preserved quarantine buildings in the European part of the Mediterranean. 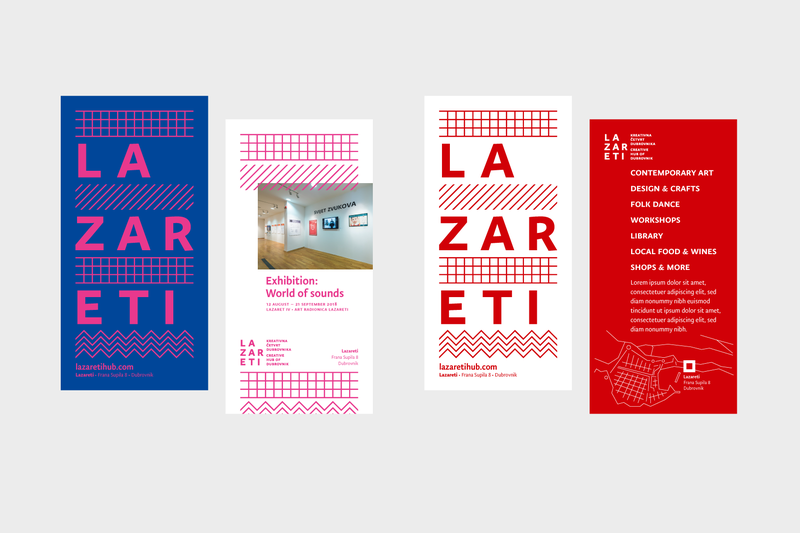 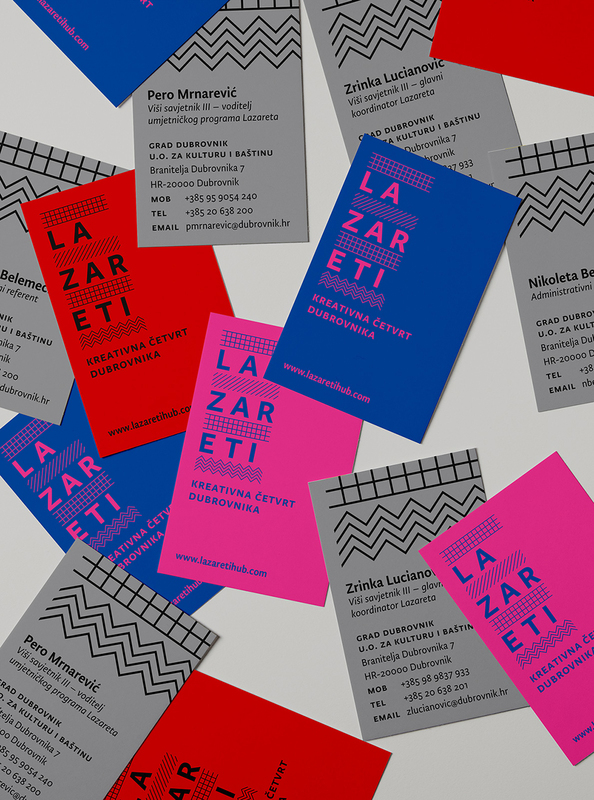 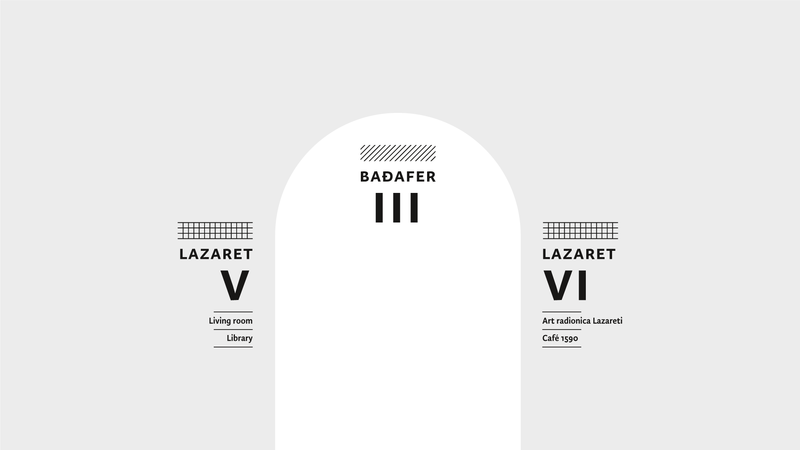 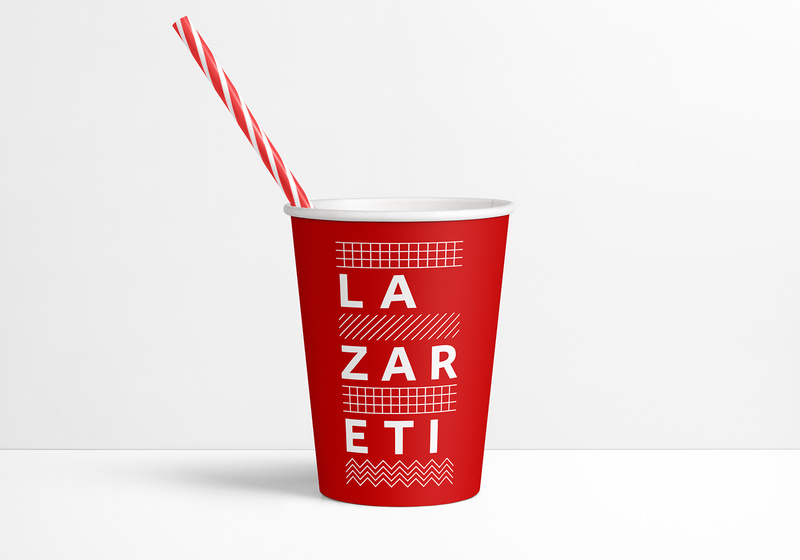 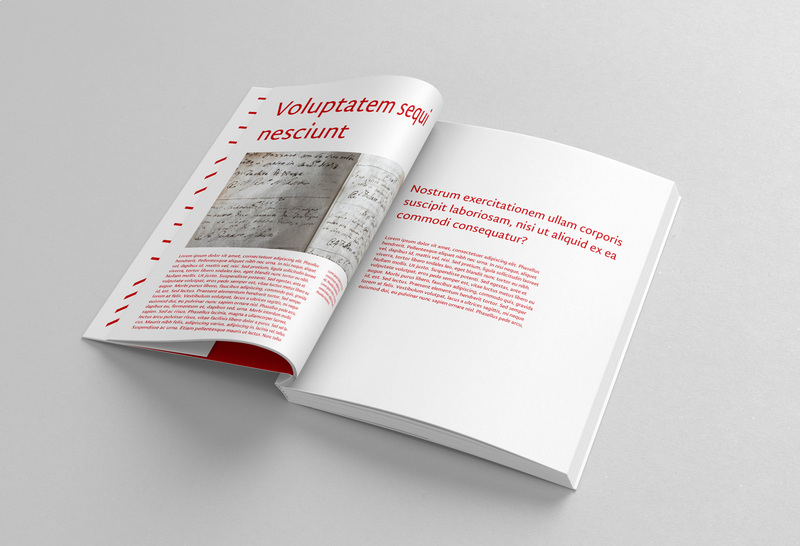 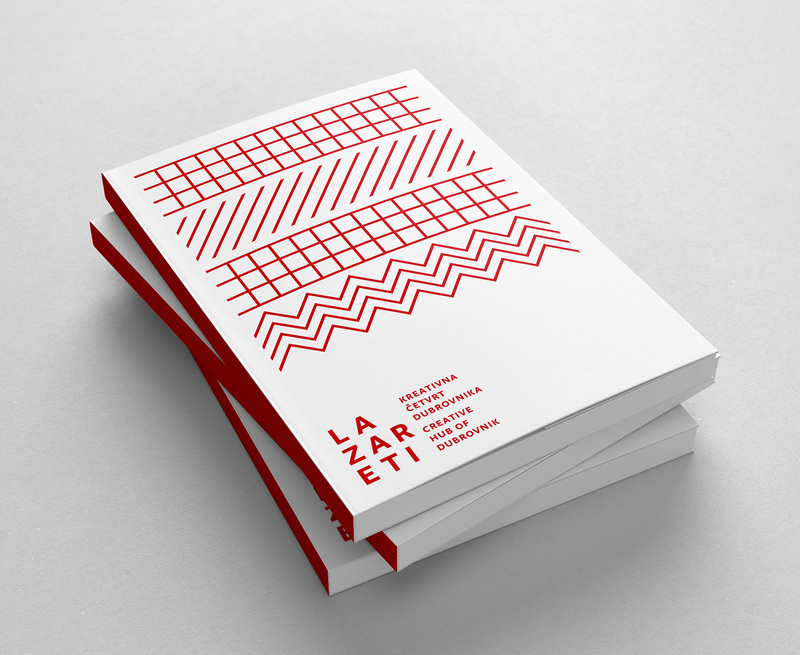 Lazareti are a unique conjunction of immaterial and material heritage, the contemporary and the historical. 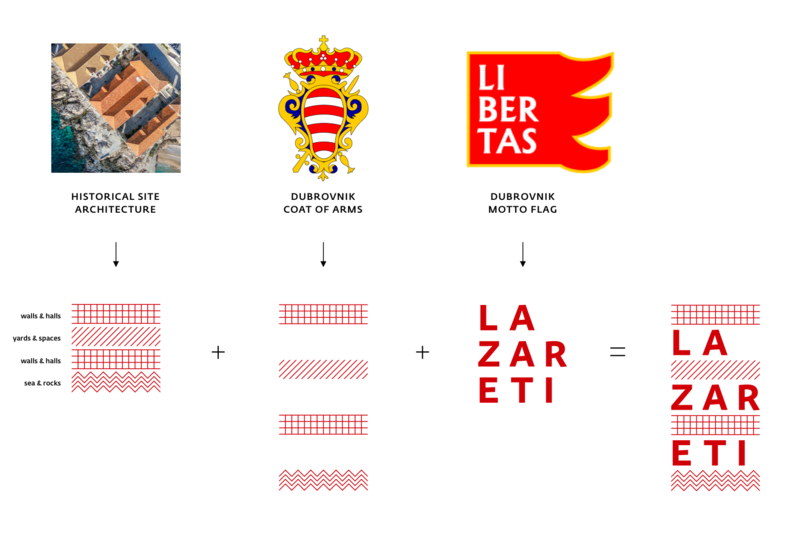 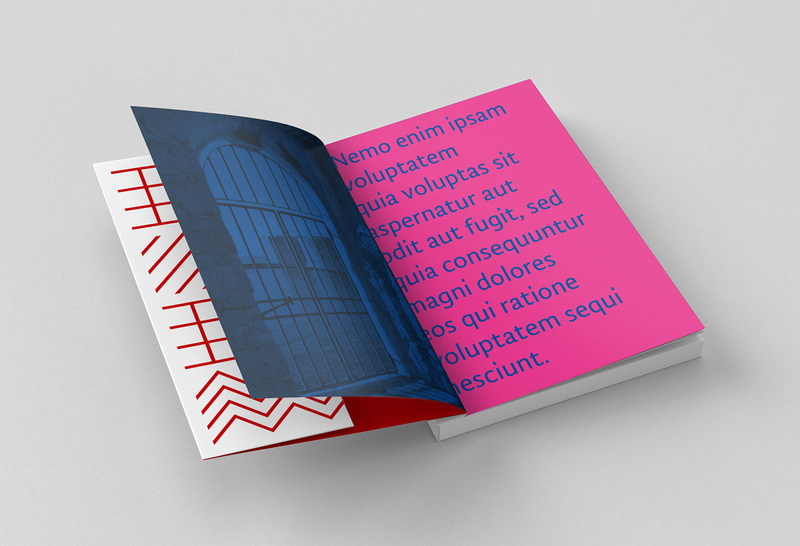 The visual identity therefore combines their natural and architectural motives, Dubrovnik heraldry, and the idea of diversity. 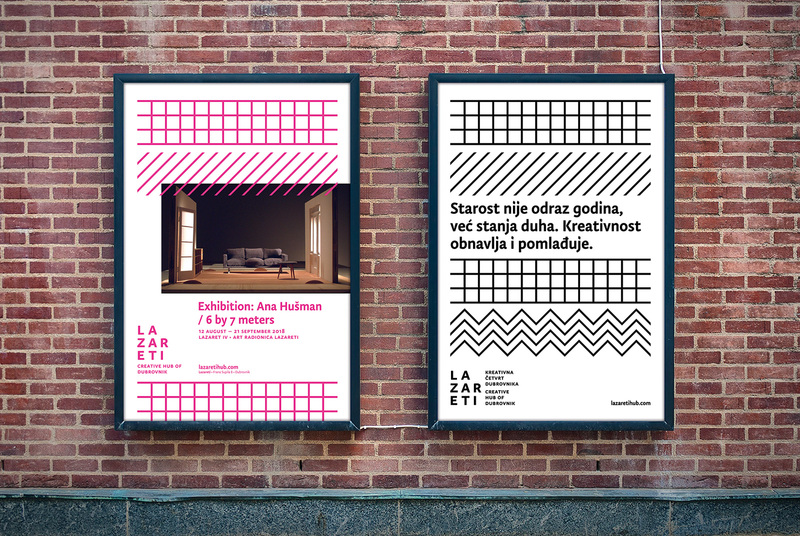 The sign is composed of four schematic textures symbolising the sea, the walls and the open spaces, composed inside a square. 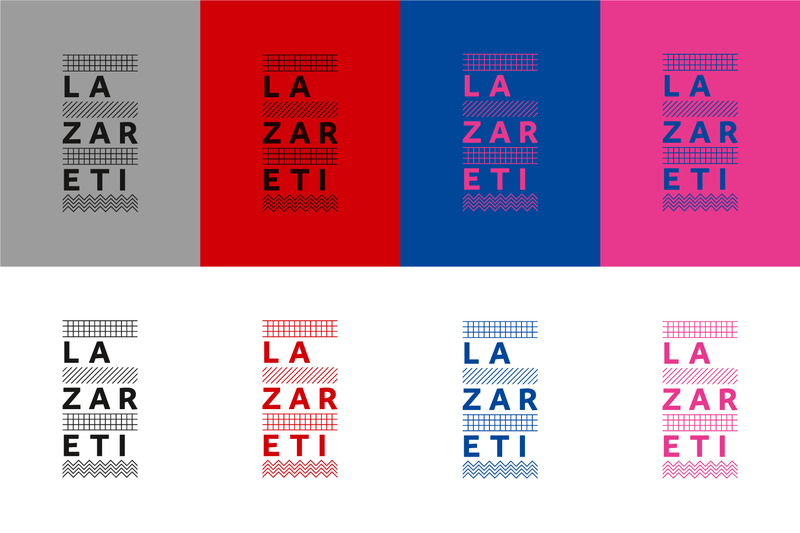 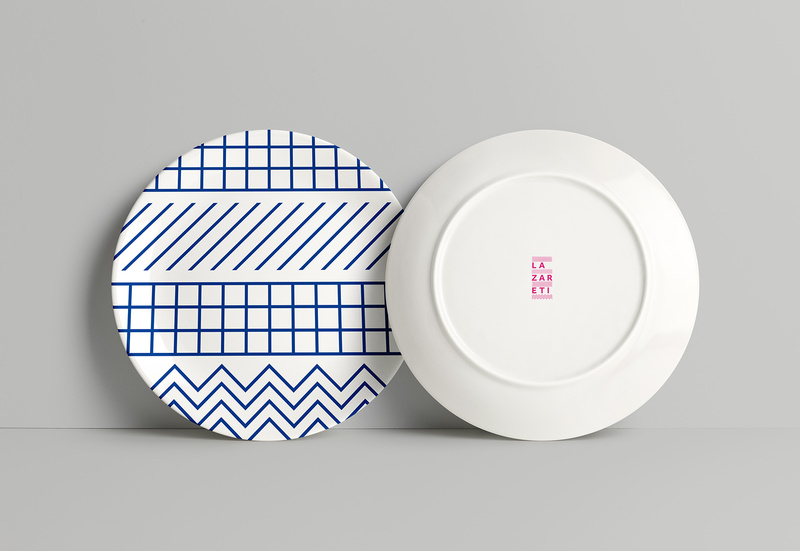 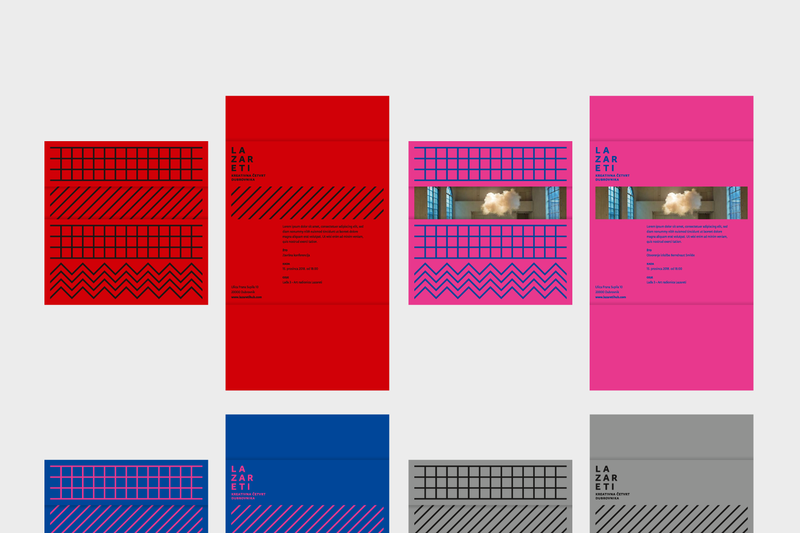 Together with the logotype they closely resemble the architectural rhythm of the complex itself. 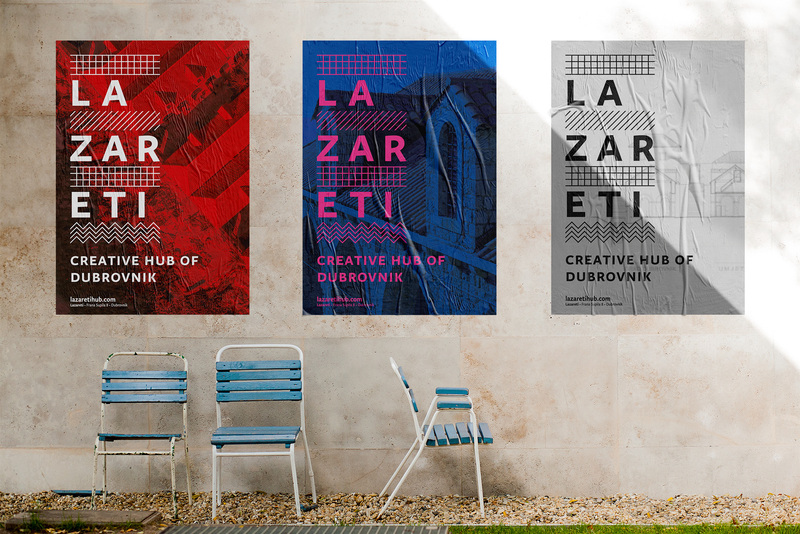 The colour palette is derived from Dubrovnik coat of arms with contemporary tweaks and accents, while the typography is based on a humanistic typeface designed by Nikola Djurek.